Is there a method to show the events in random order on the front page , so the events listed for long periods don’t sit on the front page all the time. I’d be happy to help with your question. Can you try adding that to your functions.php file and see if it works for you? Some of the logic may need to be tweaked a bit, but I think this may be exactly what you need. Problem with this code is, the events that start before today, don’t show at all in photo view which is my front page. Looking at the example I linked to, I now see that this was meant for someone who was including the events into their main blog feed. To clarify, you are saying that when using that code, past events no longer show up? Example, an event that started in August 25th but goes on to August 30th don’t show on any page with a photo view. Events that start on Ausgust 27th (Today) and August 28th (tomorrow and beyond ) show up. Thanks for the additional information. I can see now why that would happen. It’s looking for any event that whose start date is after the current date. Maybe instead of querying by _EventStartDate you could use _EventEndDate? Unfortunately EventEndDate? did not work at all. Looking more at that snippet, you will need to change the conditional. The original was meant to target when events were included in the main blog feed. I have tried, there are no changes. The code only works in it’s original form. Would you like my username and password to try? Unfortunately, we cannot login to customer sites to make changes. I do however, think I have a working solution for you. Another customer asked a similar question yesterday and I came up with something that I think is what you need. Instead of sorting the events randomly, you can sort by date and put the newest events at the top and long running events on the bottom. One of the other problems you may have been having with the code is that the photo view seems to have a higher priority for the filter. I had to bump that up to 500 in my code for it to take effect. Unfortunately that did not work at all, in any case I have left the code there for you to have a look. * Randomize events on front page. If that is not working for you, can you try temporarily switching to the Twenty Seventeen theme to see if it works with that? It’s possible that your theme may be doing something with the query that overrides what we’re trying here. OK, I think I have it figured out now. The “is_front_page()” conditional only works if you have a static page set for the home page. When the Main Events page is set for the home page, we need to use “tribe_is_events_home()” instead. I’m assuming this must be your setup, since the snippet was not working for you. Here is an updated version that should do the job in your case. * Reorder events on front page main calendar to be random. And thanks for your patience on this. I have tested both of these snippets with the Twenty Seventeen theme. 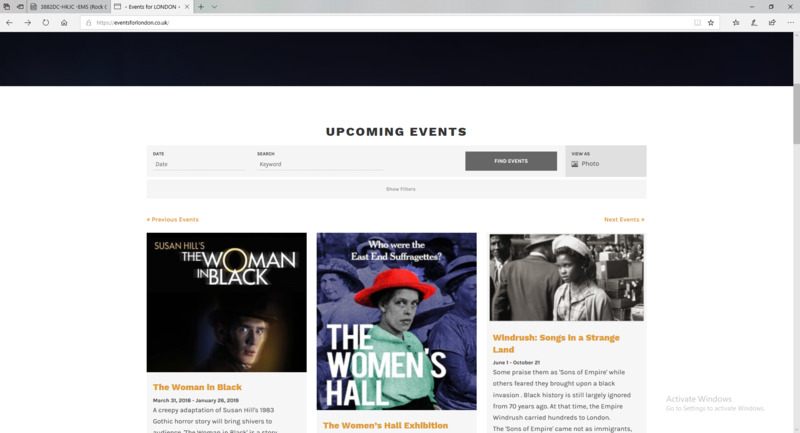 Seeing that you have “main events page” selected for your home page, the second one should work for you. I would try once again switching to Twenty Seventeen, disable ALL other plugins, flush any caches and look again. Do you meant this code? What about latest post on front page photo view? Can this be done, I think it will be very useful to keep the site looking good with fresh content every time someone visits. Maybe you can check with the guys who have worked with the plugin for a longer period. The only thing specific to events here is the conditional, tribe_is_events_front_page(). 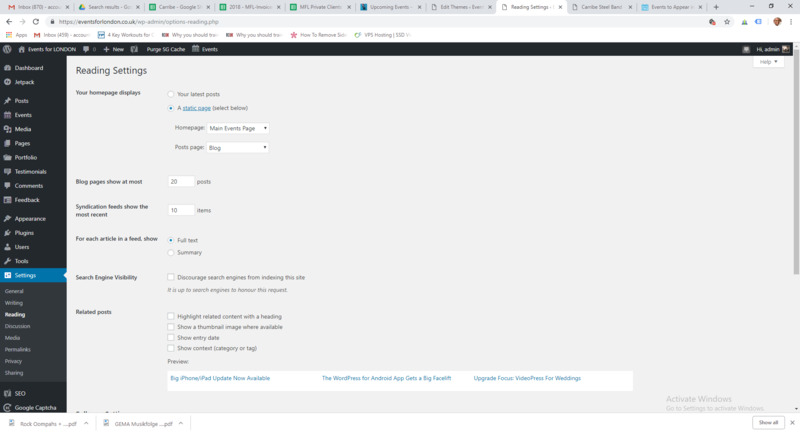 This will return true when “Main Events Page” is set to be the homepage in WordPress > Settings > Reading. Can you confirm for me that this is how you have your site set up? The code I’ve been providing works on my end. If it is not working for you, either you are not pasting it in the correct place, or you are using different settings than what I am assuming when testing. Can you try just replacing the conditional with “true” and see if that makes any difference? Site is set up with Main Events Page as Home Page. I am sure I have been pasting in the correct place. You can just remove the conditional altogether. I just wanted to make sure that’s not where the issue was for you. But if you have “Main Events Page” set for “Home Page”, that’s probably not it. 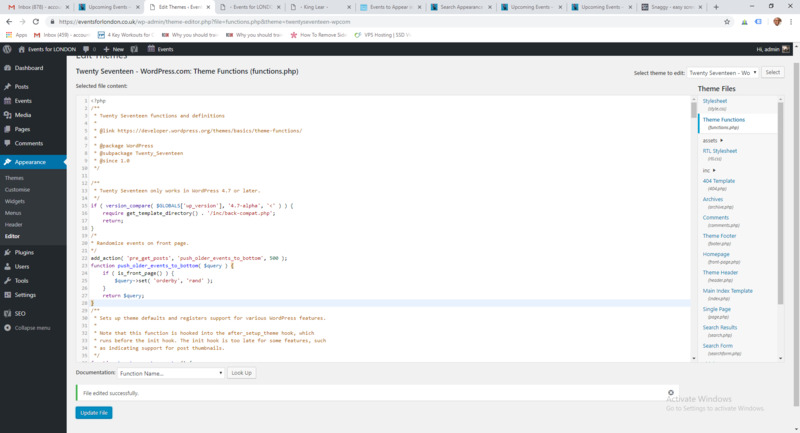 Here are some screenshots showing the code I provided in my functions.php file, and then how it resolves on the front end of my site. 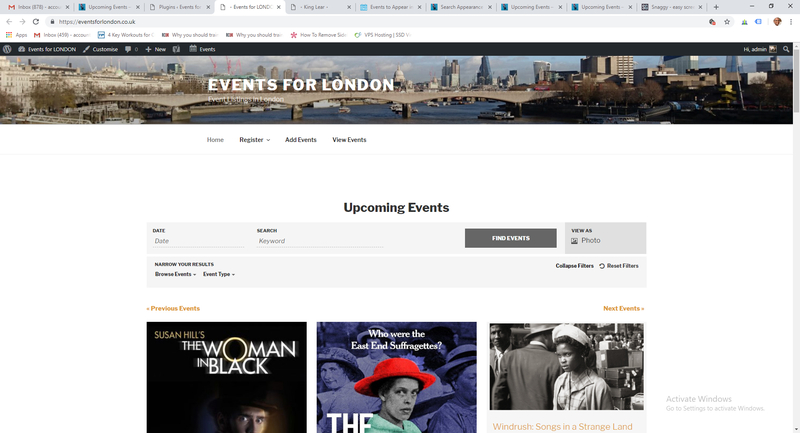 You can see that each time I load the page, the events are in a different order. I have my homepage set to “Main Events Page” and the default view set to “photo” just as you do. I provide variations on this code to customers all the time, and am not aware of anything aside from a theme/plugin overriding the query that would prevent it from working if added to your site correctly. My suggestion is to try switching to Twenty Seventeen and disable all plugins, flush any caches, and start from there. If you can’t get the code to work in that configuration, you may need to contact your host or have a WordPress developer take a look at what you’re trying to do. I am only using events calendar plugins ! Unless there is a conflict within your plugins. Host is siteground, which is very good. Will request again in a few months to see if there is any other solution. Are you also switching to the Twenty Seventeen theme to test? That’s the most likely culprit. Strange , I have tried with twenty seventeen, have you tried this on a live environment on a different server? If you are able to recreate the issue there, let me know and I’ll take a look at what you’re doing. can you please refer to another support engineer and see if they have a different code that might work. Basically need to make the front page random, or ideally the latest additions. I am stuck with the same photo front page now and if it is a long event, it just stays on the front page. Please note that we are limited in the amount of support we can provide for customizations such as this. We’re happy to help when it’s something we can quickly refer you to a snippet or documentation. If you’re not able to get the snippets we provide working, you’ll need to find a professional developer who can assist you. We share snippets amongst each other, and the code I’ve provided is using basic WordPress functionality to modify the query. The only thing specific to our plugins in there is the conditional, which I recommended temporarily removing to troubleshoot. If it still doesn’t work for you without the conditional, I would suggest visiting the WordPress Codex or Developer’s Resources site to see how the hook and query object works, and you can modify it as needed. I’m sorry I wasn’t able to help to your satisfaction, but I wish you luck getting it figured out.